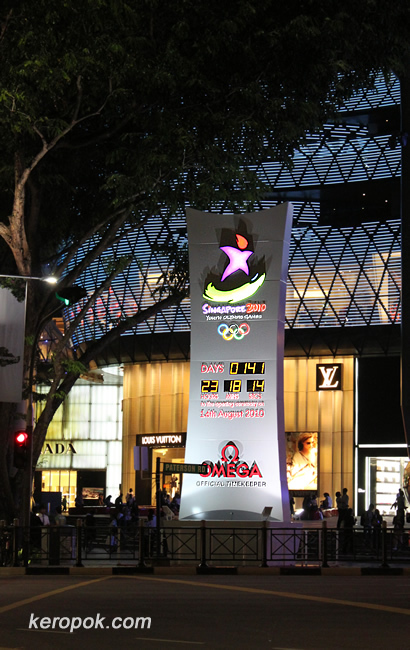 It's 141 more days to the Singapore 2010 Youth Olympic Games. There will be 26 sports that will be competed at this event. List of it here. 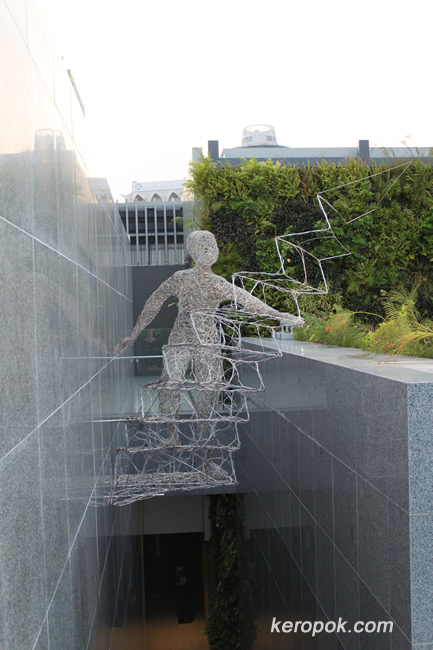 Another art piece at Orchard Central. I saw this from the most upper floor. It looked very captivating and colourful. I got down a floor to have a closer look and realize children were attracted to it and were posing. 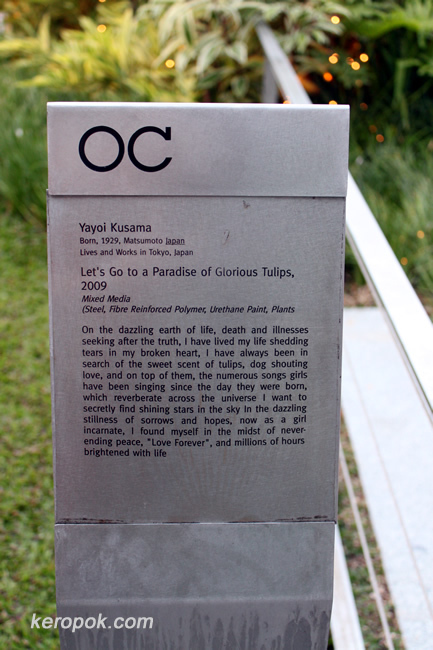 It's the artwork by Yayoi Kusama. Last Saturday night, we happened to be at Orchard Central and saw this. 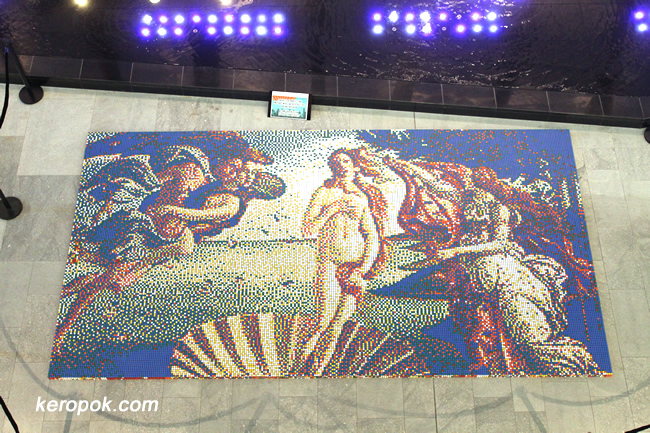 It's a "Mosaic Art" made from 5000 Rubik's Cubes. Just like most things in Singapore, since they are doing something, they would want to make a record out of it. 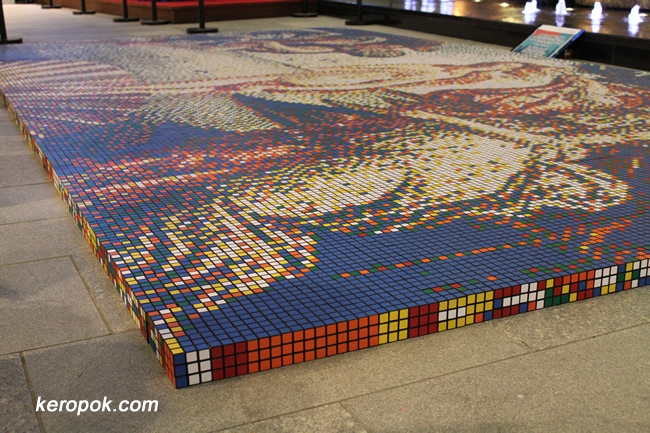 So they made it the largest Rubik's cube mosaic wall world record. 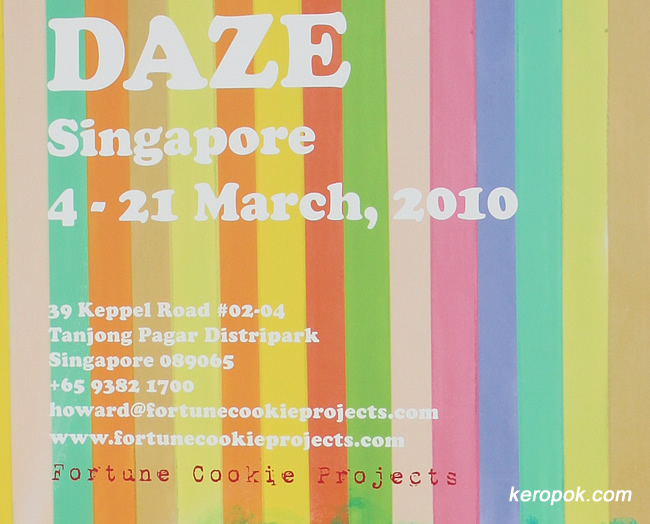 We were not there on Sunday to witness the competition, but Teo Kai Xiang won the Rubik's Cube Singapore Open 2010. 1st: Teo Kai Xiang with an average of 12.36 seconds. 2nd: Mohamad Azraei with 12.48 seconds. 3rd: Nipat Charoenpholphant 13.44 seconds. How fast can you solve the Rubik's cube? 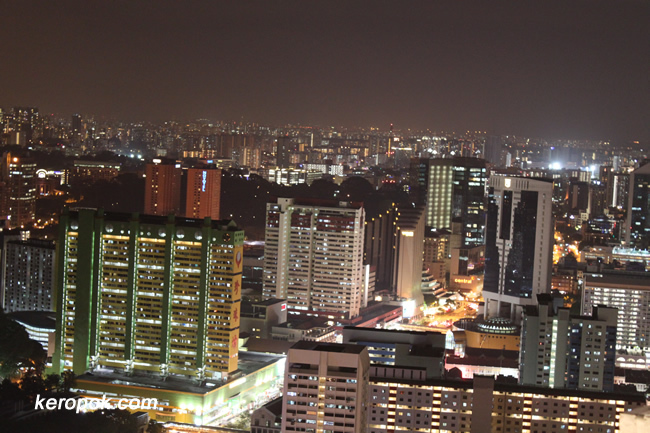 More images from the top of Pinnacle@Duxton. This is the Chinatown area. Just look at the lights! A city of lights! How beautiful. I wonder how many of these buildings will turn off their lights next weekend? Will you be turning off the lights for the WWF Earth Hour Singapore? View from the 50th floor of Pinnacle@Duxton. Singapore's tallest public housing. 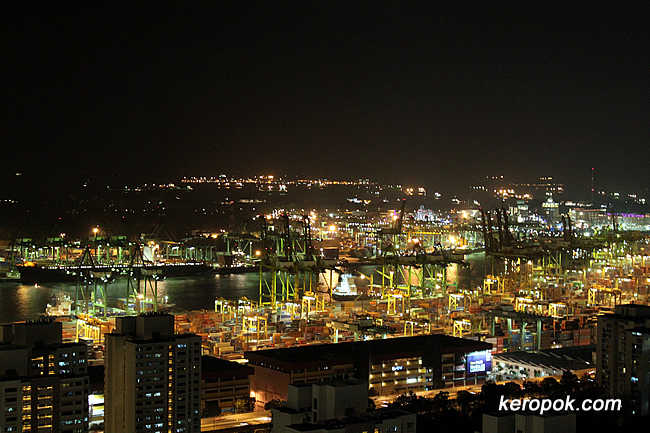 This is the first time I have seen the Singapore port from up high during the night. They work 24 hours right? But this might not be around in 20 years time? The government recently announce that in when the port lease is up in 2027, they will transform this into a new waterfront city. 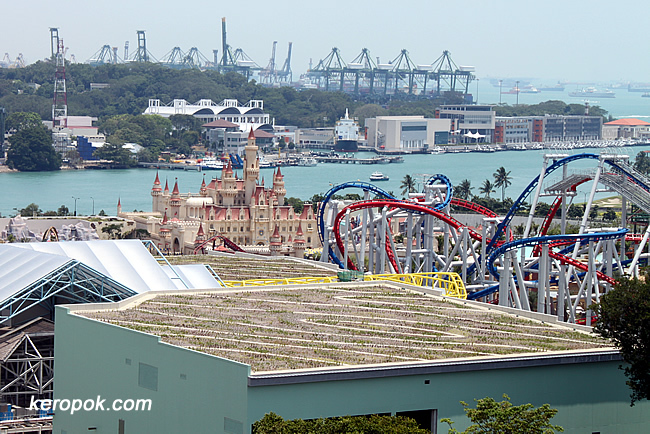 If you want to view Singapore from up high, most people will think of the Singapore Flyer. But if you do not want to pay the Singapore Flyer ticket fee of around $30, you can visit the Skybridge at Pinnacle@Duxton. It's not as high as the Singapore Flyer, but at only $5, it's not too bad a deal. You can spend as long as you want up there. They close at 10PM. You see the two lines on the blocks in the photo below? The top strip of light is the 50th floor skybridge. The middle strip of light is the 26th floor skybridge. Earlier tonight, my church Care Group thought we will go up there to have a view. The view is quite breathtaking. It's very windy up there too! 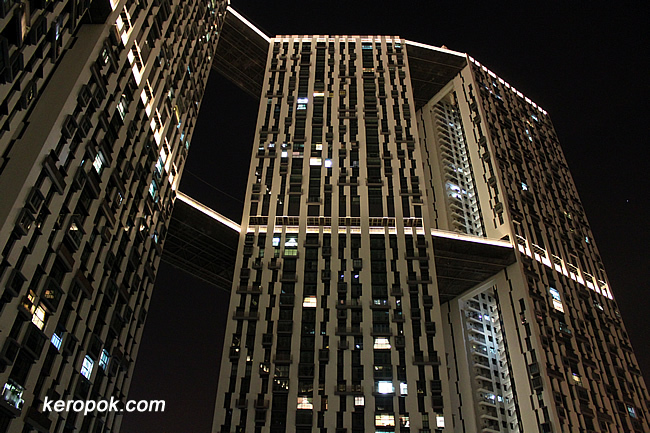 Visit http://www.pinnacleduxton.com.sg/skybridge_public.php for more information. Oh yes.... typical Singapore style, all the rules to obey is displayed just before you enter. 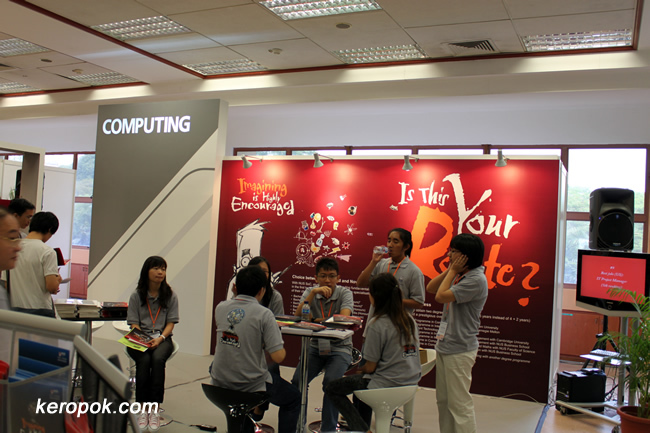 NUS School of Computing is where I took my Masters degree. The photo shows these helpers having a rest as everyone has gone next door to listen to the talk by the School at the Seminar Rooms. There are two departments in the School. Computer Science and Information Systems. Saw this on the block below uncle's apartment. 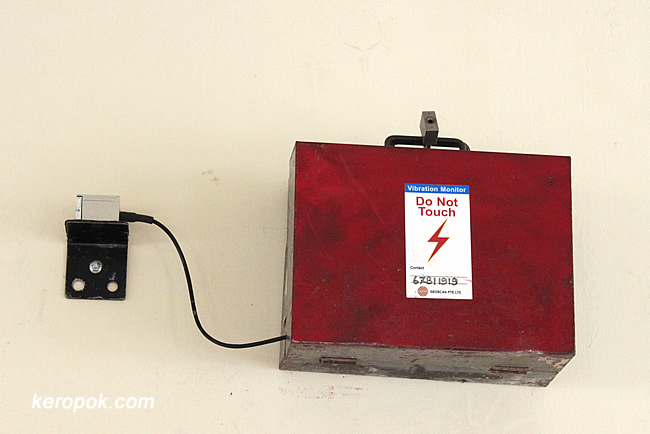 I have never seen a vibration monitor! There have been earthquakes around the world, but I doubt it is for monitoring that. There's a lift upgrading on that block, so it's probably for monitoring the piling works going on. But there's also the Downtown Line construction not too far away, but I doubt this can monitor vibrations so deep below. They sure have lots of monitoring devices nowadays eh? 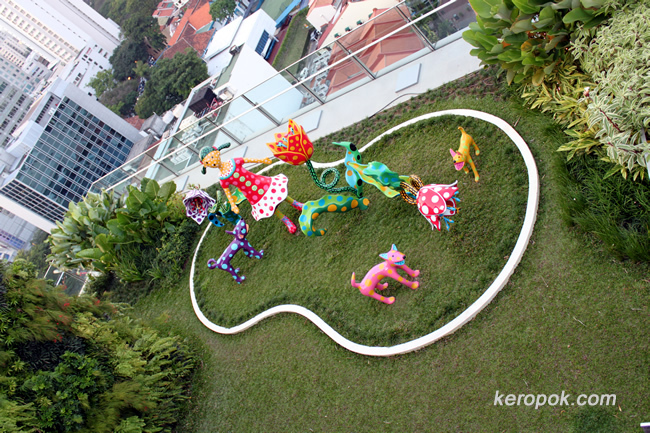 It seems that Botero's works are quite popular in Singapore. 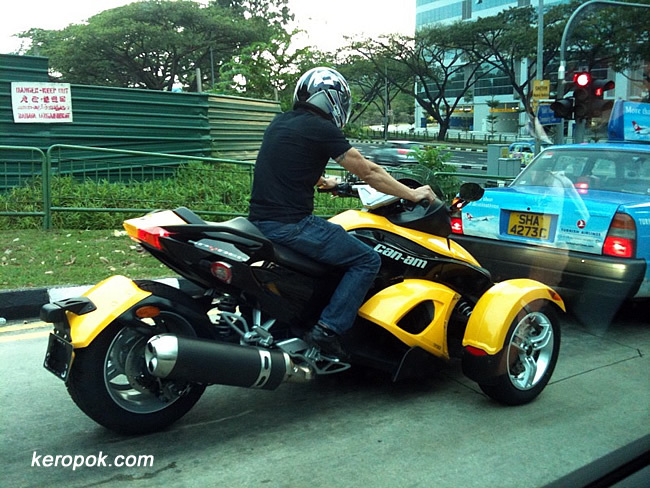 You can see it at many places all over Singapore. The lastest might be at Resorts World Sentosa. I took this a few week's ago. 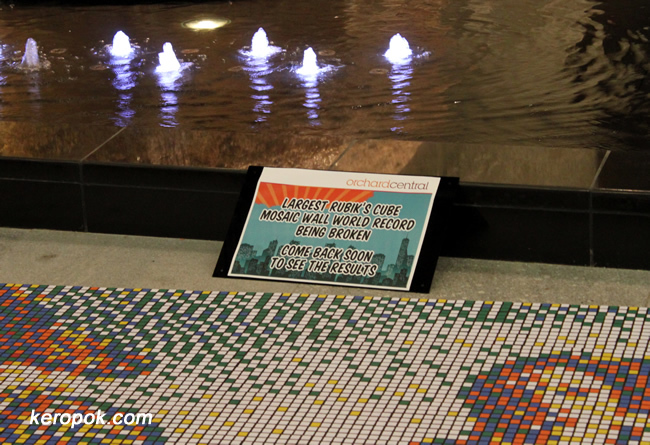 It's located at the lobby between Crockfords Tower Hotel and Hotel Michael. 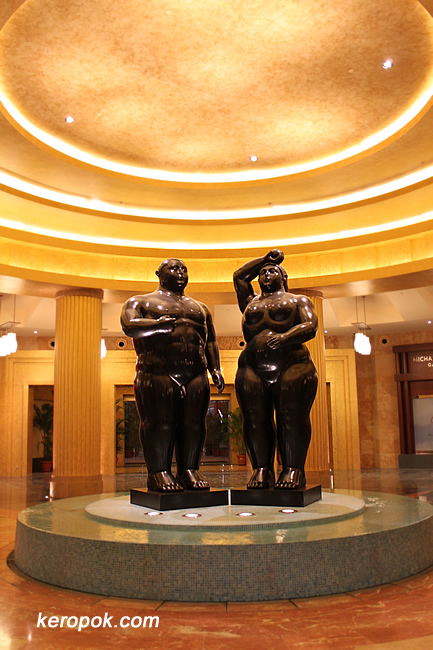 A similar work by Botero, I think also named Adam and Eve is also in Time Warner Centre in NYC. Fellow Daily Photo blogger from NYC has also posted it here. 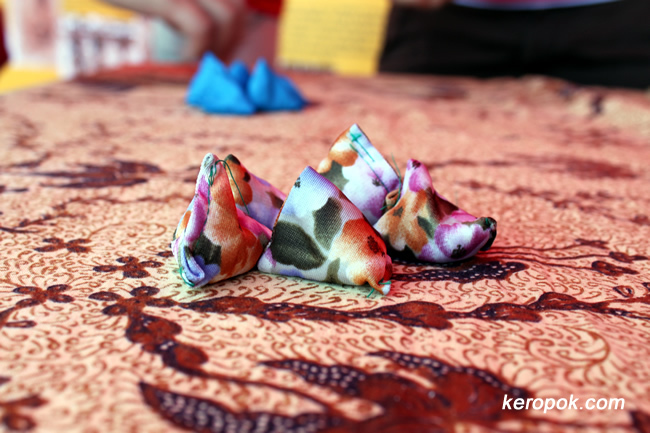 This multi techni colour words "Siloso" must have been around for the longest time. I think it's created to beg people to take photos of it! 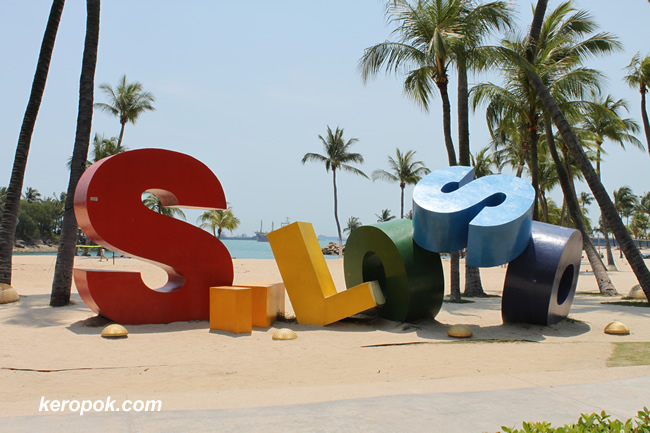 One of the 3 beaches at Sentosa Island. It's where they have the Annual Countdown Party on the last day (31 Dec) of every year. This is the beach is where people usually play beach volleyball and roller blading. Personally I don't think people should swim here! Look at the ships that's so near the beach. Are you a beach person? Or are you an indoor person like me? 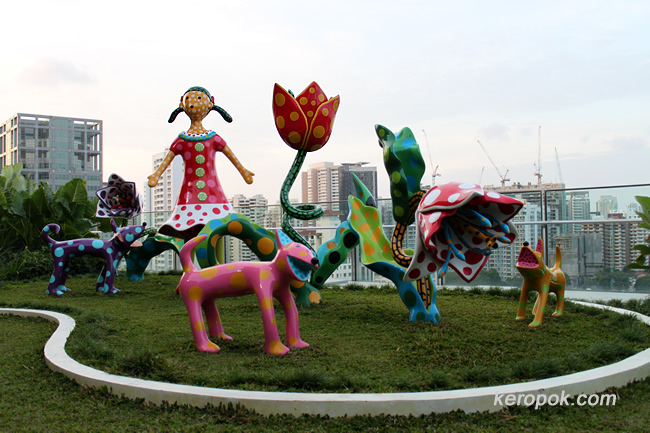 There are 5 'recognised' by the 'authorities' Merlion in Singapore. This is one of them. 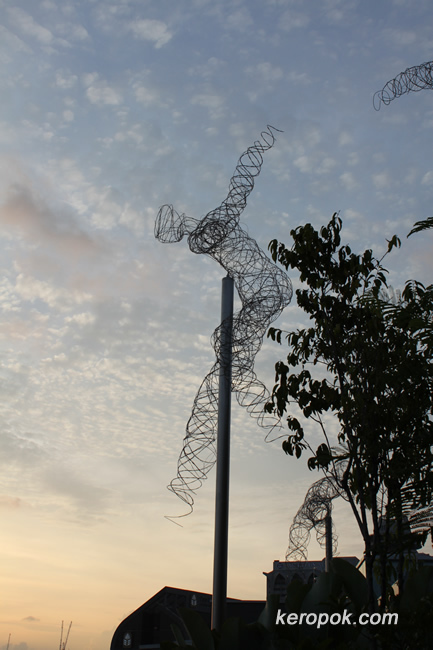 It's located at Sentosa and is probably the tallest of them all at 37 metres high. 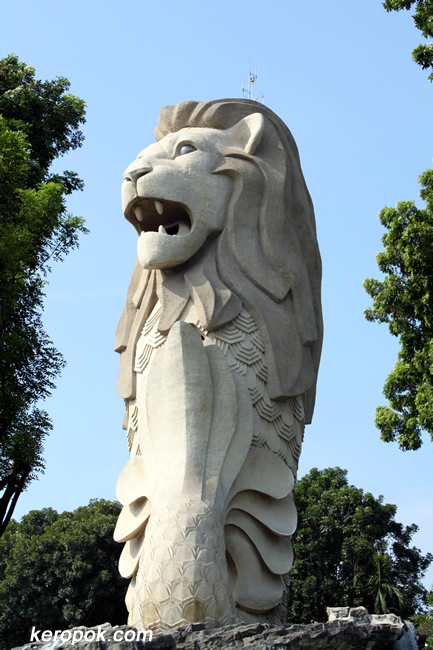 Do you know you can get inside this Merlion at Sentosa? With a $8 entrance fee, you get to go to the Mouth and the Head (top) of the Merlion. Momo and I thought it would be silly to pay $8 to go in. But we wondered if we could see Universal Studios from the top! We went to ask the ticket counter folks. They said, you can see part of it! It's only $8 to find out. So we parted with our $16 to find out. There's a video show in the mini theatre inside the Merlion. 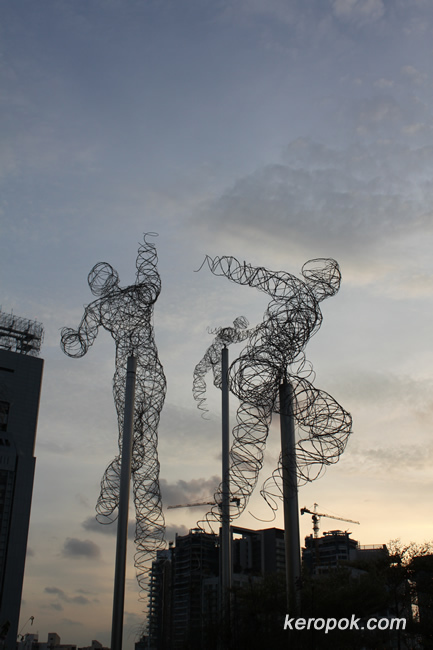 It's most probably the most ridiculous story of how Singapore is founded! Even the Australian tourist from Brisbane that were with us was laughing at it! Half the facts were true, the other half, we would say the story teller had really good imagination! We got to the top of the Merlion after that. We got to see what we wanted to see! Partially only though. Stones are seldom used now. 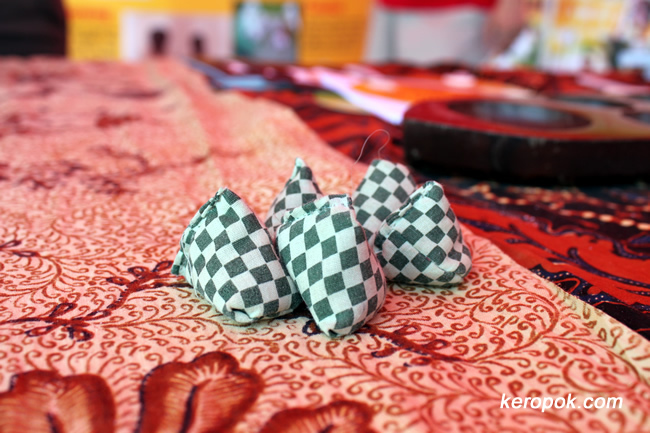 The 'stones' that are used now are made of leftover cloth and sewn into pyramids. They are filled with sand or beans. Even more surprising is that the Koreans play this game too! They call it Gonggi. (Info from Wiki here, Youtube of it here.) Their rules are the same too! I got even more surprised to find out that the French plays a similar game too! They call it Osselets. (Wiki in French here / translated to English here) Now are you as surprised as I am? You can watch a YouTube of it here. I guess the only difference is that the French has a points system. Also when they throw the stones (they used bones), they leave it on the floor, the South East Asian and Korean version keep the stones in the hands. Here's a part of the poster that shows what it is all about. I think it was by the Singapore Sports Council. 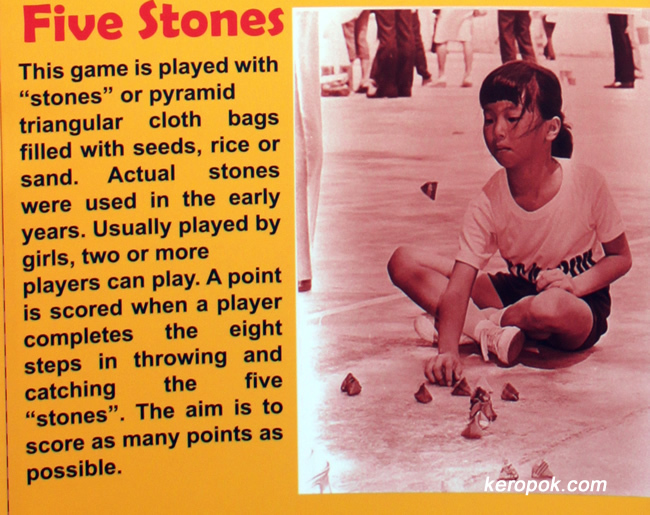 I would think they will introduce these traditional games at the Singapore 2010 Youth Olympic Games. Hmm... It would be so interesting when the young athletes from the different country arrived in Singapore and when it's introduced to them, they would be saying: hey, that's the same game we have in our countries too! Friends from all over the world, do you all have a same game too? What do you call it? I was at Sentosa and I saw this. Not very sure what it is all about. 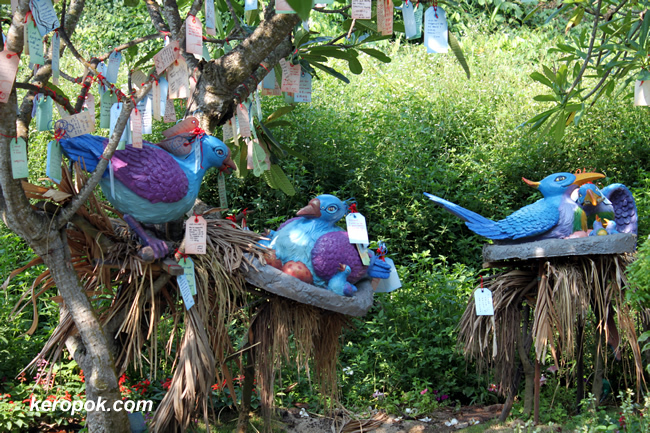 Birds with egg and baby birds somewhere in the island. But what caught my eyes were things hanging on it. I saw this hanging on the lower branches of the dried up palm leaves. "I want to be taller." How tall are you? 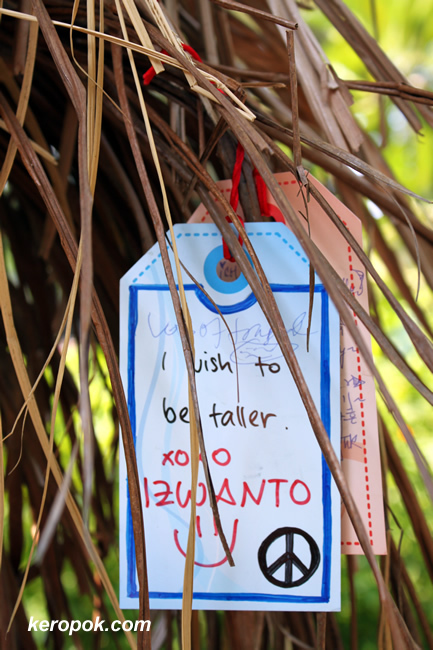 Do you wish to be taller? 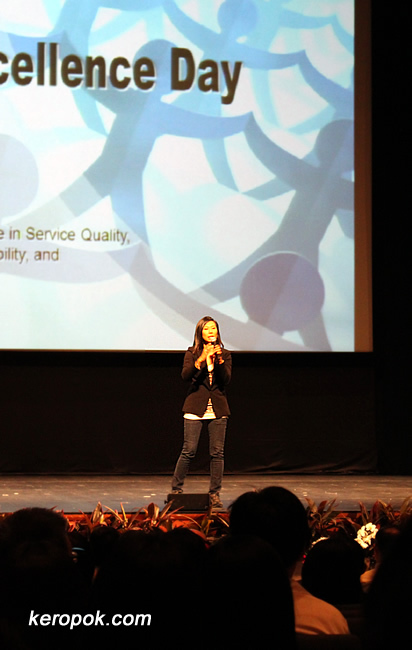 Most people can be taller if they have a better posture! Many of us tend to slouch a lot. 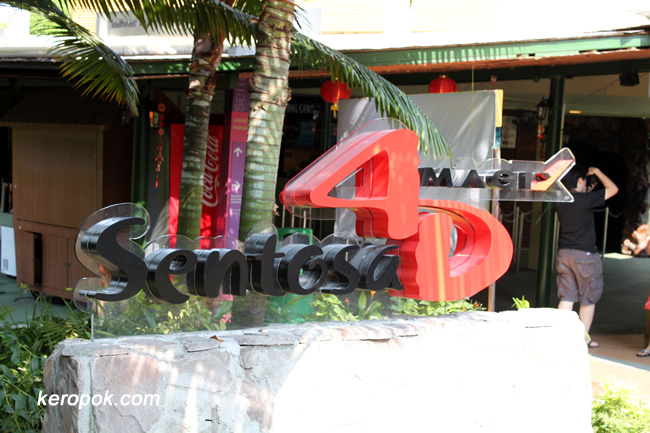 On Sunday, Momo and I joined a group of bloggers to an outing to Sentosa organised by 24Seven. What was it all about? 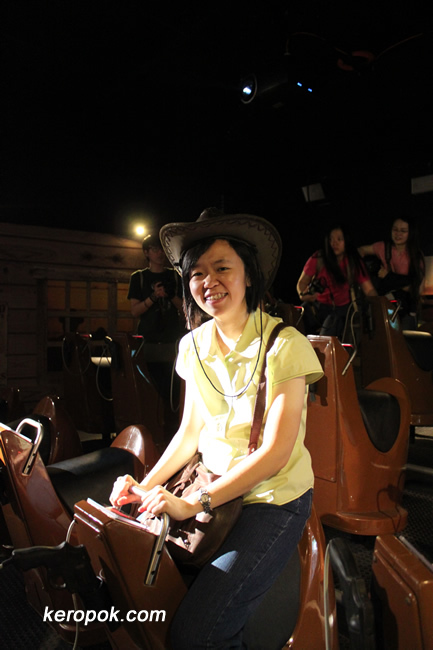 We were there to experience Southeast Asia's 1st 4-Dimensional Theatre and also enjoy Singapore's only Cinema Ride. We tried the Cinema Rides first. You watch a show and you can interact with it. 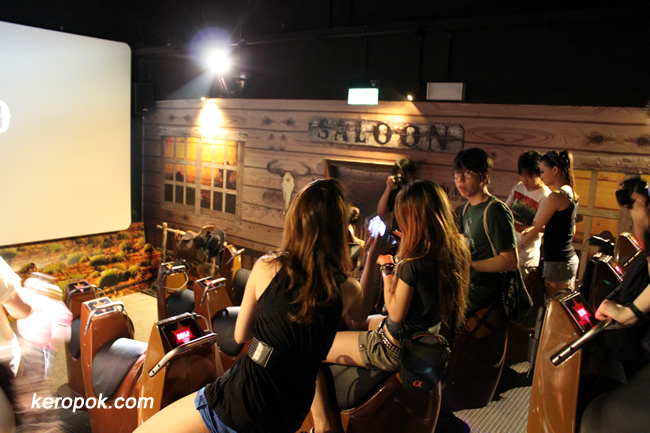 In the mini theatre, there's rows of around 20 saddles and they move. (just like Osim iGallop, only gentler). 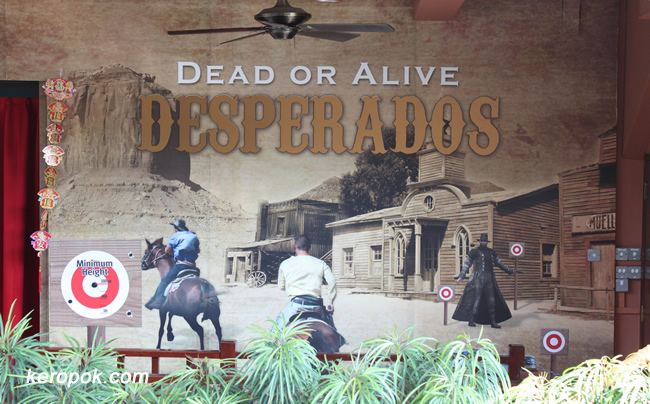 As the horse gallops, you shoot at the bandits on the big screen. It's quite fun! Look how happy Momo is! After Desperados, we took the Extreme Log Ride. We are all seated in cabins like this. 6 persons can fit into a cabin. 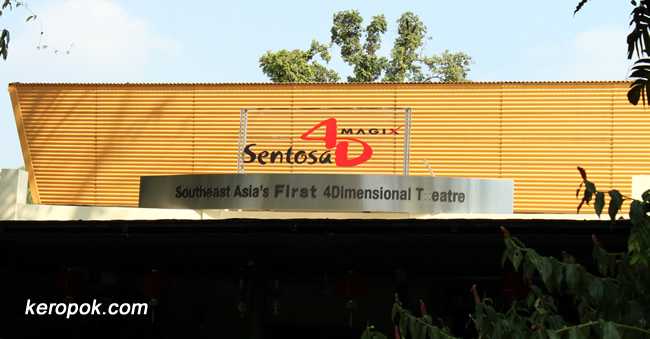 For the 4D Theatre, I must have been too excited, I realise I did not take any photos inside. 3D movies are getting popular now. 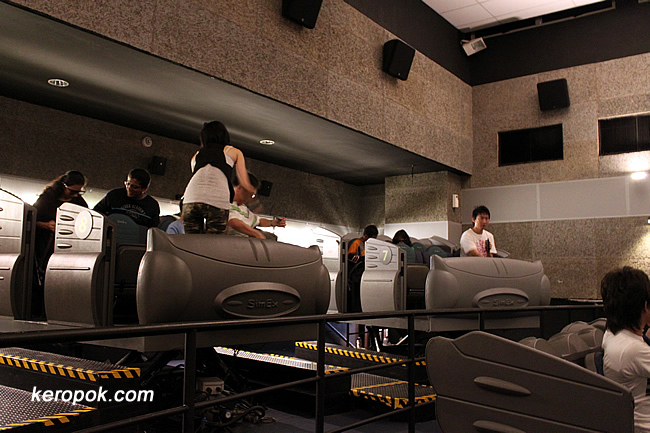 I watched Avatar at iWerks at the Singapore Discovery Centre last week. The difference between 3D and 4D is that for 4D, you get to experience environmental effects (water spray, wind blowing, etc) on individually motion controlled seats. 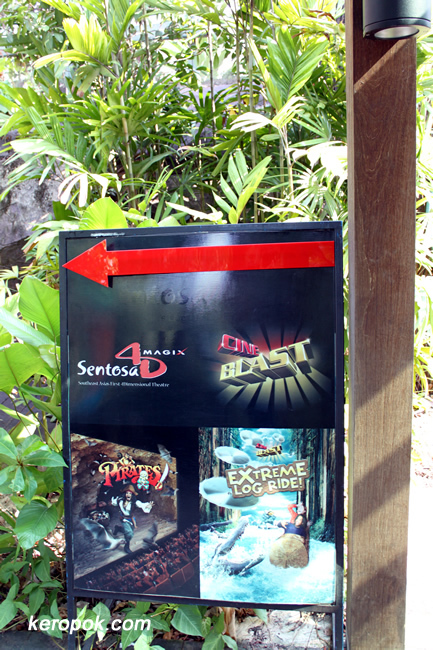 So if you are wondering what to do on weekends, head down to Sentosa. p/s You can visit RWS too. I saw this on the TV the other day. 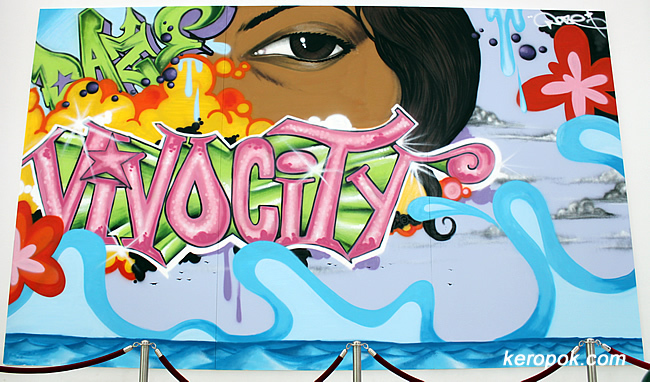 The graffiti artist was shown spraying this on the news. He's a New Yorker with a nickname called Daze aka Chris Ellis. 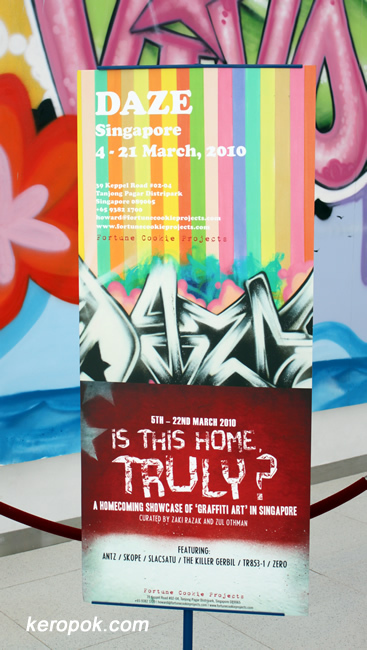 But if you want to view his work, I zoomed in to the poster, so you can see where the graffiti artists are displaying their works. 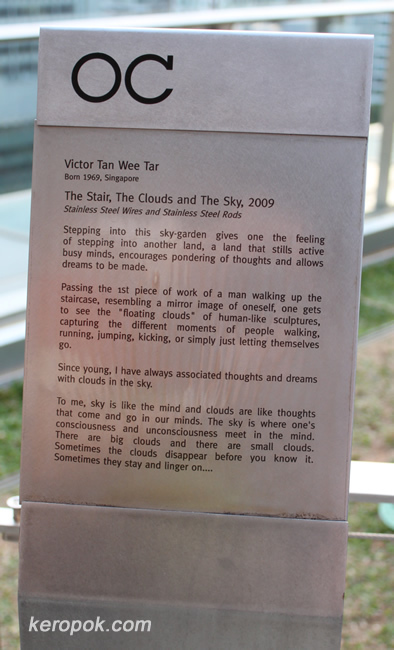 It's at the Tanjong Pagar Distripark. The Theme for the CityPhoto Bloggers for March 2010 is Passageway. 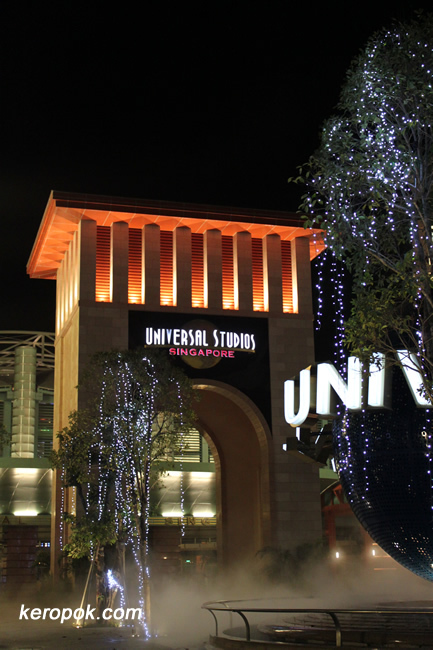 This is the passageway to the soon to be opened Universal Studios Singapore. Wonder how other Cities are interpreting the theme, click here to view thumbnails for all participants.